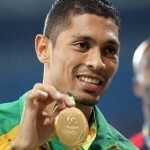 Wayde van Niekerk, former Belville Primary learner, won the gold medal in the 400 metres at the 2016 Summer Olympics with a world record time of 43.03 seconds, breaking Michael Johnson’s from 1999. It comes as no surprise that Wayde still holds records in numerous events at our own annual athletics meeting, including the under/11 80m, under/11 100m, under/13 200m and the under/ 12 long jump respectively. 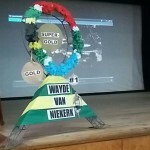 Wayde van Niekerk’s achievements are a testament to our school’s slogan : WHERE CHILDREN BECOME WINNERS! We want to extend our congratulations to Wayde van Niekerk who made history once again last year with his exceptional achievement, in becoming the first human being to run a 100 m under 10 seconds, a 200m under 20 seconds and a 400m under 44 seconds. We are extremely proud of this former pupil of Bellville Primary and we celebrate this milestone with Wayde and his family. 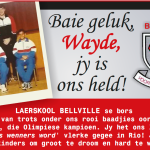 Wayde, you are a role model for the learners of Bellville Primary. 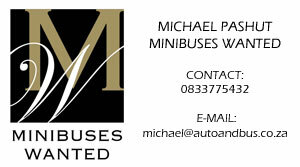 Our learners are encouraged and motivated by your hard work en dedication, your guts and determination. It makes it even more special that they can sit in the same classroom, walk the same passages and grace the same sports field that you did as primary school learner and to follow in your footsteps and achieve, whether that is in sport, academics, culture or ultimately in life. Keep going Wayde, Bellville Primary is behind you all the way! 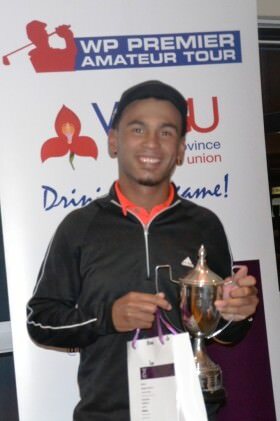 Another previous learner of Bellville Primary is making name for himself. This time it’s in the golfing circles. Dwayne Basson played in the Sunshine Tour and participated in The Alfred Dunhill Championship at Leopard Creek golf course in Mpumalanga. Although he did not make it through to the last round, he is definitely making the veterans sit up and take notice. We are so proud of this young golfer and will be following his career with great support and interest. Werner Greeff, born 14 July 1977 in Bellville and attended Bellville Primary, is a former South African rugby union player. He played for Western Province in the Currie Cup and for the Stormers in the Super 14. Greeff also played 12 Tests for South Africa. Although Werner Greeff scored only four tries for his country, one of them, against Australia in a Tri Nations match at Ellis Park, Johannesburg, on 17 August 2002, was voted the South African try of that year. 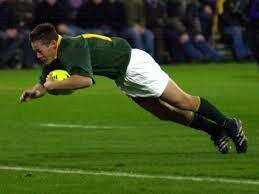 Unfortunately a neck injury forced him to announce his retirement from rugby on 22 January 2007. Already the owner of a fast-food outlet in Cape Town, he indicated that it was his intention to pursue his business interests. We wish him the best of luck!